The Alliance for a Healthier Generation and the American Academy of Pediatrics have joined with the best-selling children’s book The Very Hungry Caterpillar by Eric Carle to help families learn about healthy eating habits. Tips for Healthy Eating at Home Simple tips from the Alliance for a Healthier Generation and the American Academy of Pediatrics for eating healthy with your kids at home. Reading Guide Discuss healthy active living using The Very Hungry Caterpillar by Eric Carle! 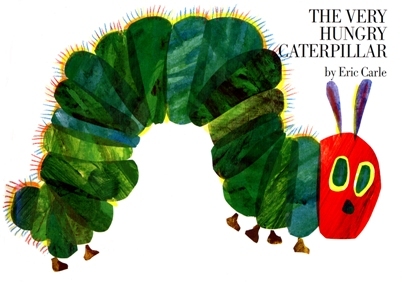 Growth Chart (PDF) Download a special The Very Hungry Caterpillar growth chart and keep track of your child’s journey to becoming healthy & strong. Learn more about the collaborators and the campaign. Find out how this collaboration started and explore additional resources available for parents and healthcare professionals. This campaign was made possible by the generous support of We Give Books. Visit We Give Books with a child in your life and read some of your favorite children’s books for free, anytime you like, no matter where you are. With each digital book you read, we’ll give a brand new book to a great local or international literacy organization that you choose to support. The Alliance for a Healthier Generation and the American Academy of Pediatrics have joined with the best-selling children’s book, The Very Hungry Caterpillar by Eric Carle, to help families learn about healthy eating habits at home. Healthy Eating at Home Matters!